Boldman was recently contacted by a long standing customer, Layton Technologies who manufacture world leading precision cleaning systems. Layton required external modular panelling to form an aesthetic machine guarding around their new ultrasonic cleaning system. The machine guarding was required to be of a light weight design and robust enough to withstand the rigors of an industrial plant. Boldman’s cost effective approach to this type of machine guarding and speed of delivery was paramount to Layton. Boldman used their specially designed safety zone panelling and enclosure system which is designed from an extensive range of aluminium profiles and fittings. 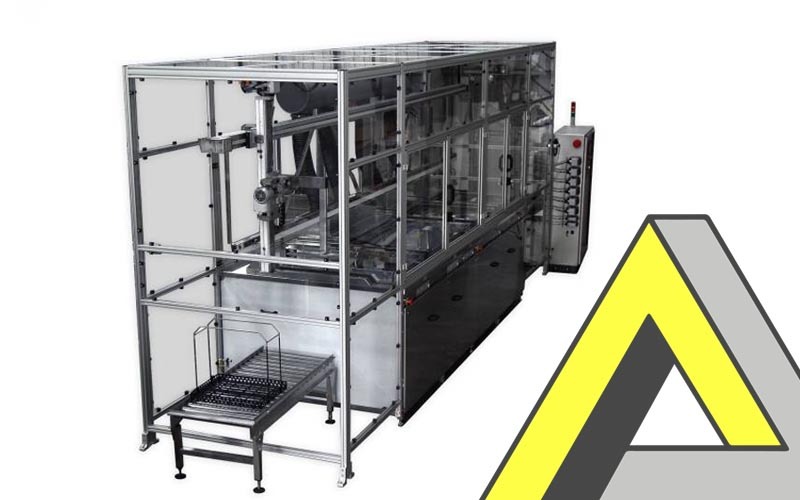 Using pre-assembled frames ready to use fittings and accessories the safety zone system is quick to install and integrates easily with other structures such as machine frames & guards, robotic cells, work cells, ultrasonic test areas, training areas and custom built machines and facilities. The smooth clean surfaces of the anodised aluminium profiles provides a clean and aesthetic appearance and at the same time keeping personnel and equipment safe and secure. Delivery of the machine guarding was made direct to the end-users site and Layton engineers completed the installation. As is common with many site installations, there were unforeseen alterations to the installation area that meant changes to the machine guard were required. Layton having worked with Boldman for many years were aware of the ease with which the profile system allows modifications to be made. New drawings were provided and replacement parts issued whilst engineers were still on site to allow the final guard system to be completed on time and within budget.